The official believes the government should be referred to as “an NDP minority government, supported by a confidence and supply agreement with the BC Greens.” Further, they said, the Green Party is an opposition party, and should be described as such. Before I say anything else, I can’t emphasize this enough: this exchange was pleasant, professional, and respectful. The individual in question was not only doing their job, but doing it well. The email exchange was civil and I was invited down to their offices to informally discuss the subject at length. That, too, was friendly. Fun, even. As I noted in our email exchange, I’m sympathetic to the argument that we don’t have the language to properly express the Greens’ unique – and historic – position and role. But I think we can agree that “an NDP minority government, supported by a confidence and supply agreement with the BC Greens” is not that language. Like “fetch,” it’s just not going to happen. In our exchange, I described it as “impossibly unwieldy.” A whopping 30 syllables, it’s soulless jargon that sounds (dare I say it?) 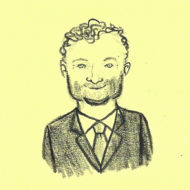 corporate. So what’s the solution? It’s not so easy. Others have referred to “the NDP-Green coalition,” which probably does imply a more comprehensive role for the Greens, including a Cabinet spot(s). I have also read “NDP-Green partnership,” implying equals, which obviously isn’t the case. For their part, the Greens freely admit we don’t yet have a workable (or working) term for their unique situation, despite some effort expended. I submit that “NDP-Green government,” in certain contexts, is acceptable shorthand; widely used and understood outside the legislature. The Green position is essentially that they’re not in Cabinet, so they’re not in government, which means they’re (technically) in opposition. And yes, in a generic high school social studies textbook sense, that may be true. But it simply doesn’t reflect the facts on the ground. In every way that counts, it’s not unlike a small – to be fair, very small – ministry. If Andrew Weaver were to be made Minister of State for Eco-tourism (or whatever), he’d technically be part of government; but in practice, wouldn’t be any more influential than he is now – in fact, quite the opposite. More to the point, far from opposing it, the Greens literally chose this government. They signed an agreement to create, maintain, and support this government when it counts. Importantly, they have yet to vote against it. Until then, referring to themselves as an “opposition party” simply does not pass the common sense test. In conversation, the Greens say there’s much discussion behind the scenes – and (some) bad legislation has been snuffed out of the gate. For example, the NDP has mused ending the secret ballot for union certification; Andrew Weaver publicly opposes it, and – so far – the NDP hasn’t introduced it. The Greens suggest that’s not a coincidence. That may well be true, but it’s awfully hard to take credit for opposing things nobody can see. And it certainly didn’t stop things the Greens vehemently oppose, such as Site C or LNG. 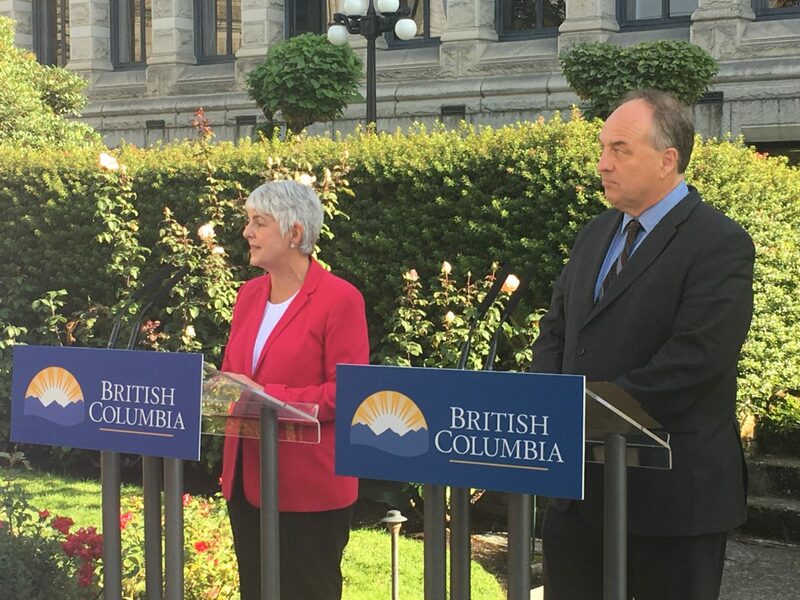 On Thursday, the issue crystallized, as finance minister Carole James and Andrew Weaver stood side by side, announcing that the NDP’s Speculation Tax would go ahead, with three minor amendments. Previously, Weaver said he would not support the tax; and in fact, oppose it. However effective the amendments prove to be, they don’t show a good working partnership (the NDP’s 104-page legislation is out of date before it’s 48 hours old) or “opposition” in any meaningful sense of the term. Weaver, for his part, says it’s not about threatening to bring the government down. But this Bill is not a confidence vote. Quite simply, he could have just voted it down. The Greens are smart, and realize all this. They’re trying to have it both ways. They’re happy to gloss over these distinctions– and glom some credit – when the NDP does something they like. But when they differ, or the NDP does something unpopular, suddenly the Greens are back fighting the good fight in opposition. With all that said, while we may disagree about characterization and terminology, I enjoyed the exchange of views. Behind the scenes, the Greens have been easy to deal with – and deserve full credit for that. In the meantime, we’ll figure out what to call them…eventually.